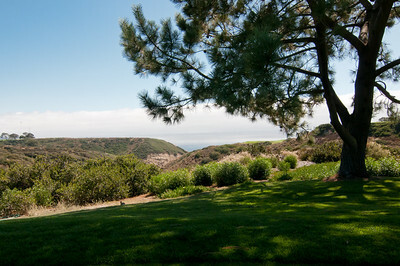 A short business trip took me to La Jolla, CA in June. 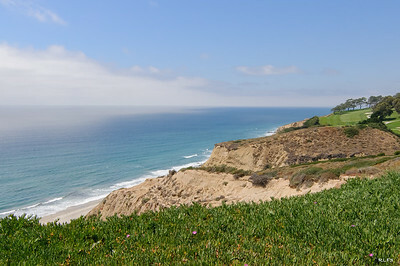 For most of my stay, the coast was socked in with a marine layer, otherwise known as fog, or, as the locals call it, "June Gloom." 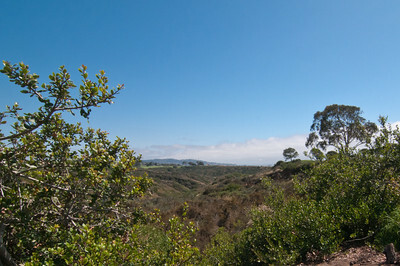 On my last day there, the marine layer pulled back revealing some beautiful vistas. 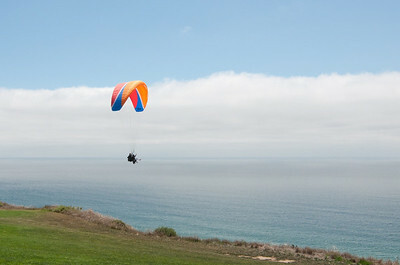 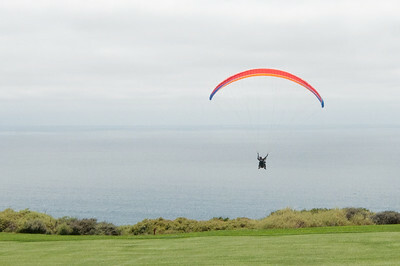 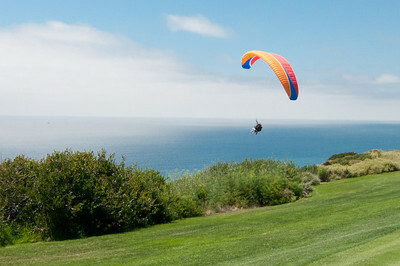 A number of us played golf on Torrey Pines South Course that afternoon, while some of our colleagues tried their hands (and courage) at paragliding. 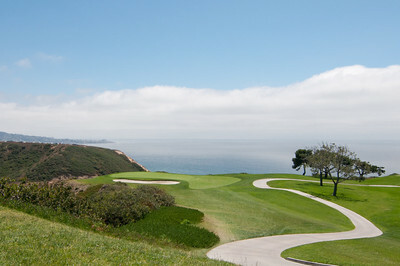 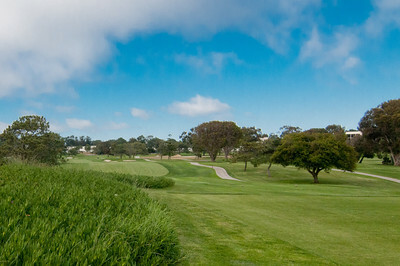 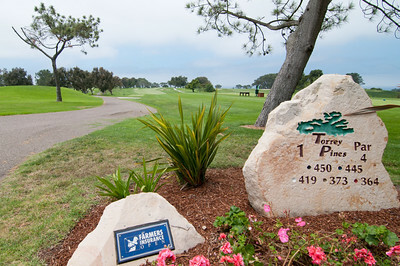 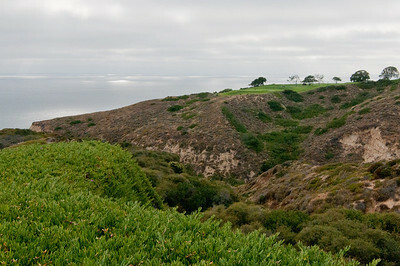 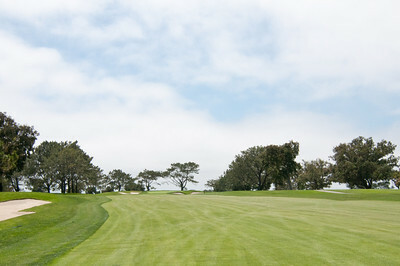 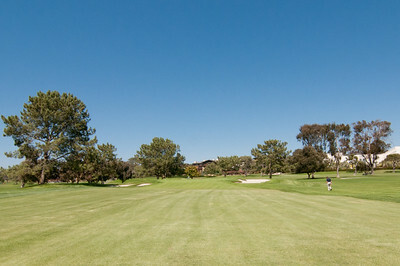 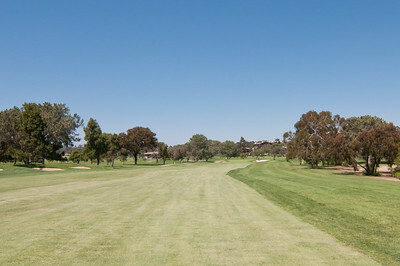 Looking from the 5th tee of the Torrey Pines' South Course, with the North Course's 8th hole in view. 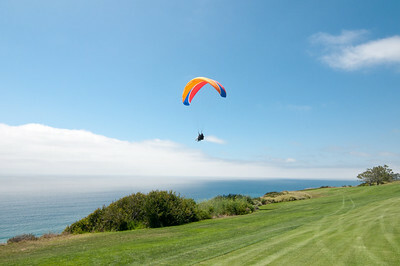 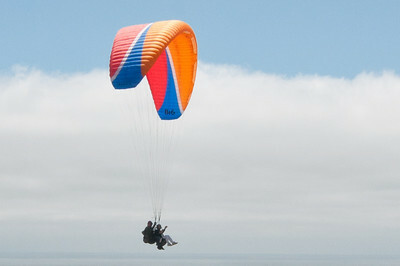 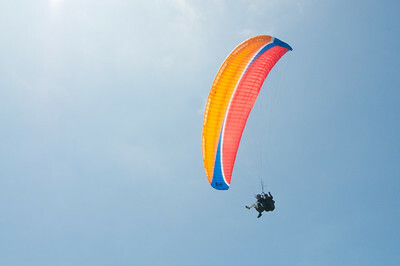 While a group of us played the South Course's 4th hole, one of our colleagues (with an instructor) came paragliding along side us.